This post is something my daughter wrote. We both have Google Voice numbers, if you have one, you can probably relate. All phone numbers given are EXAMPLES. You can't remember your cell phone number because you give out your Google number to everyone. You have to explain to your friends why your phone number is "like that"
You prefer to text message from your computer. You check your voice mail from your computer. Entertainment is laughing at the funny transcripts Google writes of your voicemails. You don't find it strange if your home phone and cell phone are ringing at the same time...about the same caller. You find it annoying when you pick up your cell phone only to have Google Voice hang up on you because someone answered the home phone first. When filling out work/volunteer/sign-up/membership forms, you debate whether to give out your home phone number or Google voice number. I've been a big fan of using Google Chrome on Windows. The Mac beta is also coming along nicely (with the exception of how it runs Flash slowly). I've had to switch back to Firefox after switching to a Windows 7 64-bit system. 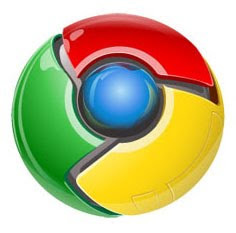 Using Chrome will freeze the entire system, requiring holding down the power button to restart. After Googling (how ironic) I found this is not a new issue. Shame on Google for taking so long to resolve such a nasty bug. A quick tip on using the explode modifier in Blender. Blender 2.49b. Richard and I have just completed another episode of Bits of Blender. This one is on soft bodies in Blender. We now show up in the search in iTunes. You can search for "Bits of Blender" or "Nyquist Art + Logic" to find the Bits. Richard and I have just released another episode of Bits of Blender. This episode is on Blender's snapping tools. We now have a channel on blip.tv as well. Blip is higher quality than YouTube and allows you to subscribe to it via iTunes.